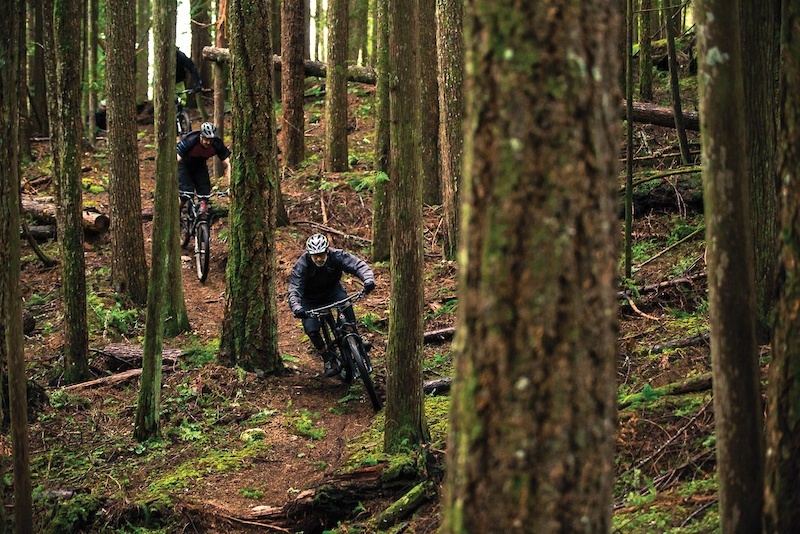 The Sunshine Coast is slowly making waves in the mountain bike world. Just a short ferry ride away from Vancouver, British Columbia, the coastal towns have witnessed logging, fishing and mining industries both thrive and dive. In the midst of all this, there’s been an insurgence of trails everywhere, from logging road networks to old landfills, that have caught the attention of the communities and riders alike. Nowadays, the weekends see a mass-migration of bikers to Coast Gravity Park and pickup trucks filled with bikes getting on their second ferry to Powell River. Tourism has become the area’s newest industry, one that is welcomed by the communities and thankfully has no signs of slowing down. This video complements our print story Forest of Progression: Old Growth Culture Meets New Age Riding from Freehub Magazine Issue 7.1, which is on newsstands now. Pinkbike readers can save 40% on a one-year subscription with our Shared Reader Discount. Why is it that I still live in the U.S.? I was just asking myself the same thing. BC - "All the things"
Because starter homes on the sunshine coast (where there are few jobs) are $500k. Closer to Vancouver, where the jobs are, houses start at one million. You know what they say about moving to BC...Bring Cash. @savagefilms: Which jobs are in Vancouver? @savagefilms: But youre talking Canadian dollars right? @endlessblockades: Seen the exchange rate? Not far off the US fiat dollar. But yes, ever since Hong Kong, the cost of living in BC seems to have skyrocketed. Looks expensive, but how much money you guys make fo real? @kaizerness: I don't want to tell all these punters that. It's all relative, if I could make what I make here in SF in BC, I would be killing it. Here, however, I am riding a fiscal rocket right into the ground. On another note, I was in Porto once as a child of 10 and my mom picked me up a nice wool fisherman's shirt with the 3 diagonal buttons. All I want to know is, do you have poison oak on the Sunshine Coast? I’ve lived in small towns and there’s usually a love/hate for tourism. You want it because it’s money, you don’t because you want your town to yourself and some tourists and be total jagweeds. Great to see people that are embracing it (at least for the camera) and appreciating what tourism can do for their town. I’d sure want to ride those trails and wouldn’t know about them otherwise. @FreehubMag has just been killing it with content recently, well done. Fantastic! Great video! I love visiting the Sunshine Coast and riding Gibsons, Powell River and Coast Gravity. Coming from Williams Lake in the Interior, the Sunshine Coast is a great off season destination for us. Great shout-out to Doug Detweiler in the video, what an amazing man. Sweet trails! Nice little town too but a word of advice; never let a hipster make you pancakes. This is a drastic contrast with the way I portray the Chilean bike scene. We really are leap years behind - what an amazing life style and concept of community, aspirational. You guys have it good! There was an old 4x4 road linking them back in the day. It wasn't passable when I was a kid, but maybe if you don't mind packing your bike over many fallen trees it could be done. 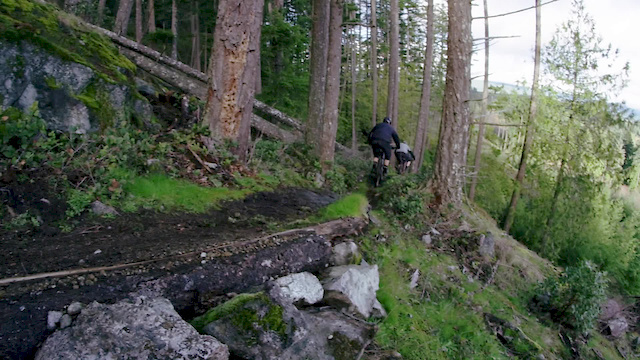 I grew up in Gibsons but didn't really get into mountain biking till I moved away. Now I bring the bike whenever I visit my folks and am loving how well known the Coast is becoming. Be sure to plan for many days or repeated trips when you're ready to check it out. Sounds like THE Place to retire to! That whole area seems to be pulsing with trails so perfectly woven into the landscapes. Then when you look at all the miles of smiles on the maps and the total decent of each ride....how could you possibly finds a better place to shred? Last summer I had to move from BC to NB with work. It was so difficult to go from such a beautiful and diverse atmosphere to whatever one may classify this province as. When I see videos like this, that show how amazing BC is, I begin to question where I am at and what I am doing. There is no province in Canada that can hold a candle to Beautiful British Columbia and I have spent time or lived in all but NF. The Mountains, waterways, people, weather.... no comparison. I really enjoyed this video and envy what you guys are doing out there. Thanks for the edit! Missing home right about now. I can totally relate @poundsand! My wife had a job opportunity in Australia, so we moved away. Unfortunately we're in an area that is very uninspiring and devoid of any kind of mountains/hills but has lots of venomous creatures that would like to kill you. It's painful watching these videos of home and makes me miss it that much more! Wish I could just "head to the hills with tools and build whatever I want". In a major part of Germany you are not allowed to ride paths narrower than 2 metres aka singletrail. Videos like these always make me question why I'm still here, admirable stuff. Raced the Sunshine Coaster in West Sechelt this weekend past, if anyone has the opportunity to do this event (or get over there and ride the trails) I'd recommend it, ~40km of loamy, flowy, fun XC trails with a really friendly vibe. It's so great that you can roll up to Horseshoe Bay, just get on the ferry with your bike, get deposited on the other side at Langdale and just ride up the highway to some of the best trails BC has to offer. I hope anyone who lives on the west coast doesn't ever take for granted how incredible the riding is there. Ive been riding and living in BC for 5 years and roberts creek is still hands down my favourite place to put tires down. Its a very special area to me. Roberts Creek rules! I want to check out the rest of the SSC but Roberts is so fun I keep going back there when I'm over that way. Great video. I think I may actually follow up that suggestion and do a circle route bike tour though the coast and around to the island later on in the year. I've been to the Sunshine Coast for a couple races and I was so impressed by the quality of the trails and the whole biking community there. Thanks for the sweet video, I'm looking forward to going back soon! What are the winters like? What does an Anerican need to do to disappear there (legally)? Do you need a visa? Job? BC wife? Are there any jobs? I rode all winter this year. You get some snow on the higher trails, but the lower ones are generally clear, if wet. It's really the wetness that is the obstacle. It can get pretty muddy and slippery between nov-feb.
@yerbikesux: Yeah, I get the Island rain-shadow business....still looks rad. I've already looked in the Express permanent residency process. I promise to be cool when I get there - not like I am on PB. What an inspirational video- great job. great video boys!!!! Thanks for that, definitely got me stoked more for trips to Sunshine coast !! This should be mandatory viewing for American land managers. Good Biking Gods of Awesome Dirt that was fresh!!! ahhhhh....I get it.its time to retire. Looks like a pretty special place, I think BC is the only thing that would get me to North America again. Nice work boys! I need to take a proper tour of the Island and SS Coast soon! Nice job Watts and Chris! Good vibes all around. Well played, Gentlemen. Looks like a little slice of paradise. Nice story Freehub! Keep 'em coming! Bucket list of places to ride! Good work boys! Really enjoyed this! Wow. Would love to visit there. I love the Coast . Its so Awesome . I Cant wait to go again ! The bike park in Powell River is super cool.